The design of this Eagle Home Mortgage promotional flyer was used to promote mortgage lending to condo buyers at Bellevue Towers, an upscale residence located in downtown Bellevue. 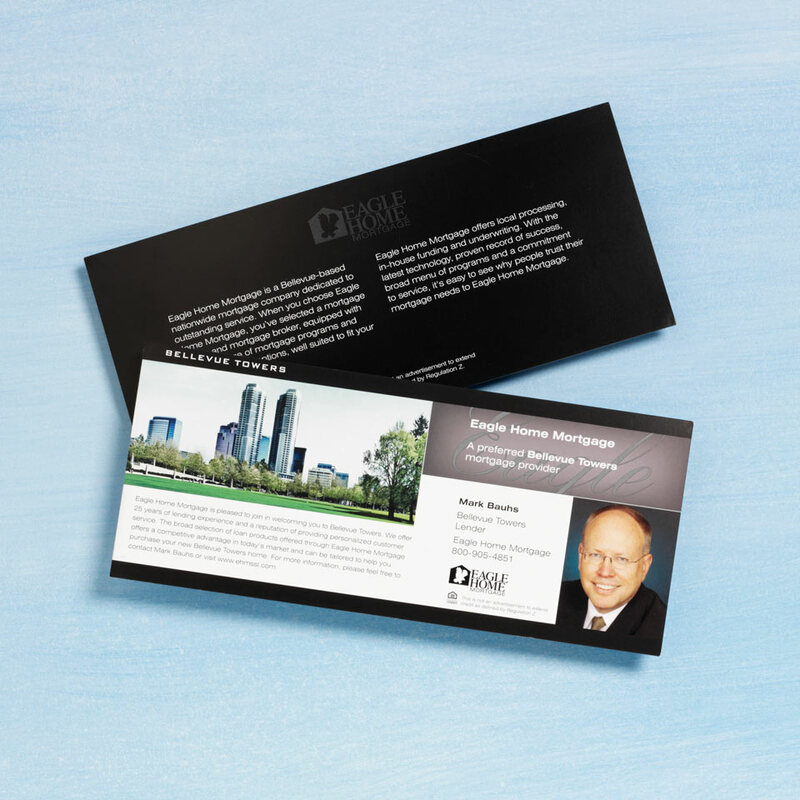 The design of the flyer, including the use of visual space, imagery, and color reflected Eagle Home Mortgage’s branding as well as related visually with an oversize promotional booklet given out to interested buyers. The design of the flyer also included a spot varnish of a repeating square pattern used on the exterior of the building to subtly tie the two together.